indeed another (and simpler) solution. Indeed, adding both is even better. > Jonathan asked me to weigh in here. >> that would work with you. >> characters into geometry, and export that into SVG. > Fonts.... maybe a year, year-and-a-half way, hopefully. > dynamic content, but it's fine for static graphics. > I also added a <title> and a <desc> element with some suggested text. > <tref>, <textPath>, and <textArea>). > some cycles to it. Next in thread: Doug Schepers: "Re: Fwd: Dojinshi & Accessibility was: A new Semantic Web logo?" 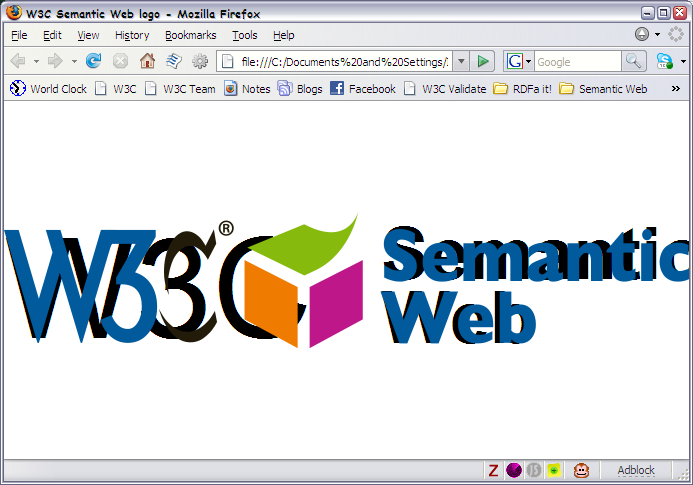 Reply: Doug Schepers: "Re: Fwd: Dojinshi & Accessibility was: A new Semantic Web logo?"